Here is a link to the gallery for the MAX6675 Breakout Board V1.0. Check out the gallery here and the project here. I’m pretty sure the majority of my projects will never be considered “Complete” as I’m always tinkering with the firmware to add or refine features. However, I like to give my projects a finished look which means they will be inside of enclosures or integrated into other devices. It would be nice if I could update the firmware without having to dissect the project to get at the controller. To accomplish this, I created a XBee plug for my Hobbyduino Mini V3 Arduino clone. Check out the gallery here and the tutorial here. More mounting options! I have developed a prototype shield in my pursuit to make it easier to use the Hobbyduino. 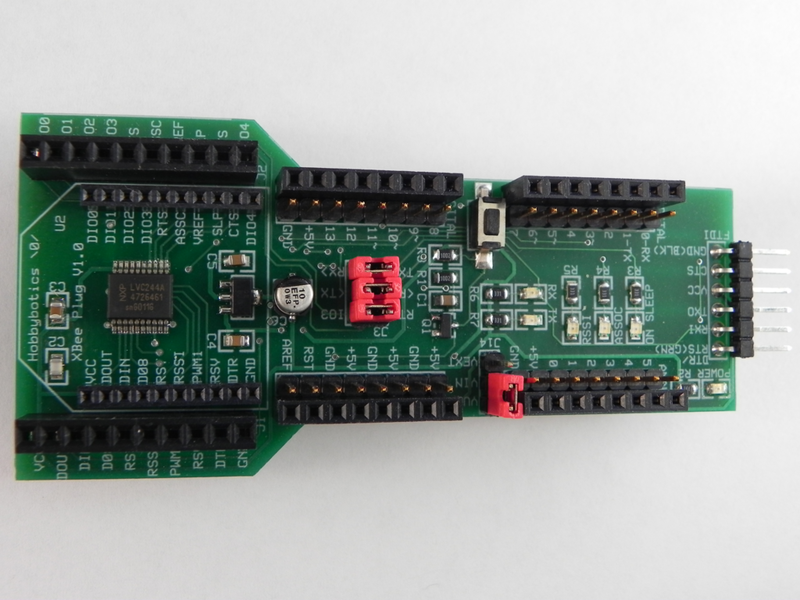 This shield allows a breadboard to be mounted on it for prototyping circuits. It also has a circuit layout in reference to a breadboard that allows for permanent mounted circuits. Go here to see it. Here are pictures of the Hobbyduino Mini boot-loader ISP Plug. 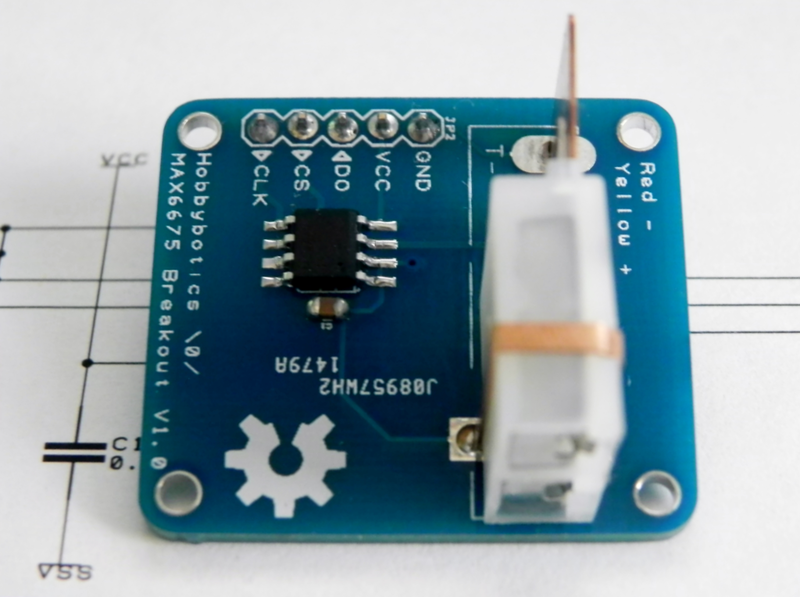 This plug (or shield if you like) can be used to burn the Arduino boot-loader onto blank ATMega328 or ATMega168 chips. In essence, this plug is a minimalist AVR ISP programmer. Go here for the gallery. I have uploaded some pictures to the gallery of version 3 of the Hobbyduino Mini. There have been some subtle design changes based on the recommendations of a fellow robot builder from Let’s Make Robots forum. Go here and check out the 3rd revision of the Hobbyduino Mini. I uploaded pictures to the gallery of version 1 of the Hobbybotics Photo Interrupter based on the CNZ1120. I screwed up a bit when I designed this board as I created the footprint for the CNZ1120 photo interrupter backwards. It still worked out in the end and I actually like it this way as it allows me to place the interrupter on one side of the board with the rest on the components on the opposite side. I also screwed up a bit in the schematic with the placement of the LED. This little mistake was fixed by simply removing the LED and associated resistor from the final board. In the end, it still works!